Im sure Ludacris didn’t have the Canucks in mind when he penned his classic “area codes” jam in 2001 for the Rush Hour 2 soundtrack. But here we are, one PTO veteran making the team and another going the way of the Ruutu (its actually funny because that’s his name). Jim Benning felt Jack Skille warranted a full season on his team after a solid? preseason. Tuomo Ruutu was let go but the Calgary Flames/Toronto Maple Leafs are always trolling the Canucks wastelands for pickups. As this season gets underway there aren’t really a whole lot of questions with this team. I mean, no one has them picked to win the Cup so that can be put away, goaltending really isn’t a problem after seeing last year that Ryan Miller and Jacob Markstrom can easily handle the duties this year while super prospect Thatcher Demko hones his craft in the AHL. Up front, the Sedins will once again lead the way for Vancouver and it wouldn’t surprise me if they still have some tricks left up their sleeves. New line mate Loui Eriksson (also from Sweden) will start the year on the top line and after a positive first go around with Henrik and Daniel at the World Cup of Hockey, they should easily transition into the regular season. 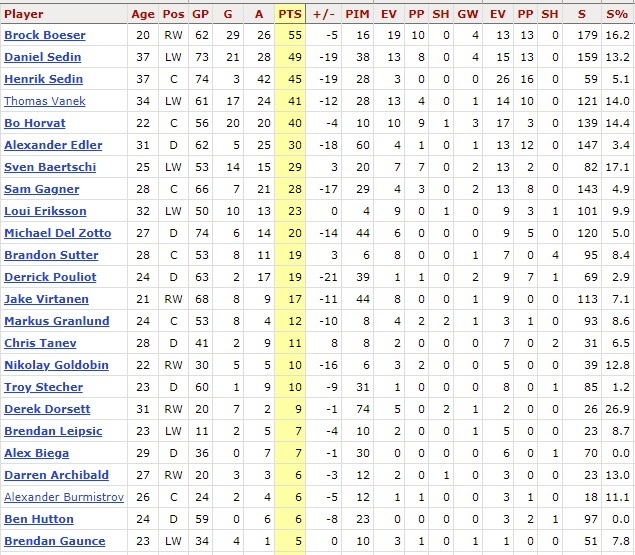 A healthy Tre Kronor will probably net Eriksson 30 or so goals, the Sedins each around 80 points…ok maybe high 70s. Last year was abismal and I’m willing to say a healthy, properly used Sedin line probably does get close to those totals. Henrik put up 73 points two seasons ago while Daniel put up 76. I’m not even going to link it because I know that YOU KNOW how to use the Internet and I want you to stay here. With Eriksson up front, for we’ll say 70 games, the 70-80ish point threshold is doable. Canucks Army just fired me, pretty sure….pretty sure. The Sedins aren’t really the focus though for the “wow” factor this year if there even is one. Bo Horvat along with Sven Baertschi will hope to relight their spark they found last year and Jake Virtanen would be smart to get in on that action early. Sure, the lines aren’t in his control but no one wants to be stuck with Markus Granlund or Derek Dorsett. Brandon Sutter will be starting the year almost healthy and will do his best get back to being a normal NHLer. He was the forward version of Sami Salo last year when it comes to injuries. A broken jaw and sports hernia pretty much shut Sutter down last year and there was no way he was going to be anything close to normal. Willie Desjardins needs Sutter to produce for him to give this team a lick of hope in 2017. Three reliable centres make the Canucks somewhat legit like Crocs you buy at Canadian Tire. You know they aren’t the real thing but you’ll use them how they should be used and heck they’re 10 bucks! Where was I going with this? I forgot. If Sutter does indeed stay healthy enough to warrant regular rotation between the top 3 lines, guys like Jannik Hansen, Markus Granlund and even Alex Burrows can become relevant once again. The checking line of Brendan Gaunce, Alex Burrows and most likely Jack Skille/Derek Dorsett might be a regular checking line if the top 3 lines are going. Again, not a Cup contending roster but rolling 4 lines does make the Canucks a bit tougher to defend, ya I said it. Who’s really going to challenge that line anyways, on the Canucks I mean? If you’re in the first 9, don’t screw up and you’ll be fine. Does that go for the defense as well? Apparently you can tear up the preseason (meaningless hockey) and still get sent down. I’m talking Troy Stecher, I’m talking Ben Hutton ver. 2.01. Going into training camp and then the preseason, Stecher to the general public, me as well, was a name we were told to watch for. We watched, he delighted and somehow for a second season in a row, a Canucks defenseman from college was going to crack the roster. The Utica Comets will give Stecher some solid playing time on a top pairing and it will only be a matter of time before he’s called up. He’s too good and Philip Larsen can’t really be our PP QB, can he? I bet fellow Dane Jannik Hansen is high on him but he can’t really believe our problems are solved on the man advantage with Phil. 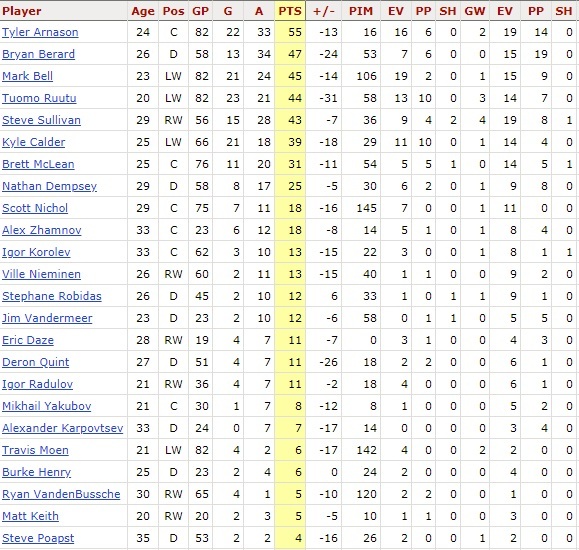 Vancouver’s defense looks like this to start the year: Chris Tanev, Alex Edler, Nikita Tryamkin, Lou Alex Biega, Luca “ya they haven’t gotten rid of me yet” Sbisa, Erik Gudbranson, Ben Hutton and the aforementioned Larsen. I shutter to think where the Canucks are without Hutton or worse, Tanev. The defense on paper is sketchy and anytime you ice a team that has a really tall unproven player along with a veteran not good whatsoever player, you have issues still. Sbisa is our resident dumpster fire but thankfully Matt Bartkowski’s astonishments are now done here. Tryamkin better start figuring his stuff out quick because having a guy that can’t be sent down to the AHL or he leaves is stupid. If he was that hot, you wouldn’t need that clause in there. Be a big boy and earn your spot. Even bulldog Biega earned his stripes, we like him. He’s not great but when Biega is out there, you want him to succeed. I hope Nikita is everything they hoped he’d be but man, he has to own that body and take names. One man who doesn’t need to prove himself is newcomer Erik Gudbranson. A gritty defender who doesn’t shy away from the rough stuff. His #fancystats aren’t anything to write home about but he is what the Canucks have lacked since Kevin Bieksa’s hay (sp?) days minus the offensive punch. Markstrom and Miller are definitely safe this season with Guddy in front of them. As for a nicely wrapped basket of what the Canucks will or won’t accomplish this year, the jist is don’t expect anything promising. They won’t make the playoffs but in typical Canucks fashion, they won’t finish dead last either; thus eliminating them already from Nolan Patrick the first overall pick in June. We may very well be witnessing the transition into what Canucks land will look like for awhile but thankfully there are a handful of bright spots (Horvat, Virtanen, Hutton, Stecher, Demko and Tanev) that make you think it’s going to be OK eventually. The Canucks will hang in there this year but at the end of the day, be prepared for many, many 1 and 2 goal games; most of those being defeats. I won’t sugar coat it because we’re past that now. Enjoy watching hockey again even if it means a bunch of #moralvictories again. Go Canucks Go, We are all Canucks and all that jazz. Canucks training camp started on Thursday and apparently it was already decided that Ryan Miller is the #1 goaltender this season for Vancouver because it says here, here and here. The last one was kind of overkill but you get the point. Jim Benning has declared the 36 year old veteran will lead the Canucks on the ice and defend the pipes as its top tender. In the next edition of IWBITS, I dive into the goalie issue and declare it will be interesting to see how this season pans out…heck how the first month goes. When Ryan Miller signed with the Canucks back in 2014 it was tough to say if he was a consolation prize or if he really would help the Canucks while everything else was sorted out. There was the Eddie Lack saga, the Jacob Markstrom run and with Thatcher Demko signing his pro deal the clock will indeed be ticking until the heir apparent (Demko) takes the throne. The funny thing is, Miller has actually been the least of the team’s worries since he signed. Sure, he’s had injury issues but what veteran goalie hasn’t? His actual stats aren’t very becoming but when you’re injured, splitting starts every second game and being relied on as the backbone of a team that scores less than the USA World Cup hockey team, you get a bit of a pass. Millers GAA was a voluptuous 2.70 last year good for 34th overall, his SA% was 28th at .916 and because the offense and well the defense as well wasn’t all that effective, Miller finished 15th overall in saves with 1634. He was a workhorse and there were 31 games he didn’t even play. It’s not a bad thing that Jacob Markstrom is the backup, in Vancouver you always seem to get your chance. We all LOVED Roberto Luongo and then Cory Schneider went and did his winning thing so then we were torn. We had Eddie Lack backing up Miller and we all thought THAT was the answer when he turned it on, but alas. I say let’s enjoy Ryan Miller’s swan song, he’s pretty much done everything that has been asked of him and many of the games last season that were won with him between the pipes, were HIS wins. He definitely stole a few and our frustration was being pointed in many, many other directions. How this all plays out this season will be interesting because Miller could easily get banged up and Markstrom would take the reigns. So being that Demko isn’t getting called up right away, Richard Bachman is basically the glorified door opener unless things get really dicey. The Nucks signed BTO this past offseason and he’ll be go figure, the door opener for Demko down in Utica. All of this puts Jacob Markstrom in a position to prove his worth either as the tandem mate of Demko when Miller leaves after the season or trade bait if Thatcher is the Auston Matthews/Connor McDavid equivalent in net. We used to get bent out of shape when things got iffy in net, but now there’s a clear answer and losing our favourite son Roberto Luongo will hopefully be a fond memory and only that. Don’t expect the Canucks to surprise anyone this year challenge for a top playoff spot, they aren’t built that way yet. What they do have is a team of veterans and guys willing to learn from them. This team is on the verge of very good things and goaltending is included, unless of course Jim Benning decides to trade away Demko (but I just don’t want to think he’s that bat ish crazy). It will once again be a roller coaster season and if Willie/Jim/Trevor know what’s best for this team, we’ll see a healthy dose of Miller/Markstrom every 2nd or 3rd game. It keeps it “interesting”, it keeps each goalie fresh and maybe they can pinpoint matchups, hey strategy! Watching the fall last year was tough and seeing the result of a 5th pick instead of the 3rd still stings but knowing there’s a elite prospect between the pipes getting ready for his takeover is exciting. With Twitter handing us info by the second, Demko’s progression will be all too documented and if things go as well as everyone thinks, it will be tough not hand him the keys to the car. On the off chance something amazing DOES happen on the big club, the Canucks may push their relevance back into the NHL I don’t see that happening but there’s a lot I’m wrong on. The Canucks are tied for 1st overall right now…it will be interesting to see for how long. By now you’ve figured out I love comparisons! Most of them fall by the wayside and a handful of people get them but are half impressed to say the least. However, with the recent contract extension of Jacob Markstrom it’s safe to say I have a gooder here. Ever since the dual departures, nay, triple departures of Cory Schneider, Roberto Luongo and Eddie Lack, the Canucks have been searching for a fix to their goaltending problem. Some may say it’s been a slowly leaking tire. I too am experiencing a leaky tire situation and until its ultimately fixed/replaced, it will nag away on the message center of my vehicle. I can go to the gas station and fill it up back to normal pressure, I can buy the spray in repair kit but unless its truly fixed, the problem will remain. When Vancouver re-signed Markstrom to a new 3 year deal, they took their leaky tire and replaced it with a name brand snow tire that can handle the challenges of winter. Ryan Miller has one more season left on his own 3 year deal and as the team came down the stretch both he and Markstrom split the duties almost 50/50. It was evident the Canucks played well for both tenders and with a cheaper, younger option in place until soon to be superstar Thatcher Demko completes his training in Utica, Markstrom can start the 2016/17 season with aspirations of being the #1. Knowing that the Canucks will soon have a high performance all weather tire in Demko makes the next few seasons quite bearable. It should be known that Ryan Miller on many nights last year was a big reason the Canucks even hung around; I guess we could blame him for not dropping another two standings spots. A far from stellar statistical year for Marky, sporting a 2.73 GAA and .915 SA%, his starts increased confidence in the Canucks fan base knowing we had a solution on the back end. It may only be July but once training camp begins, Miller, Markstrom and Demko will all have played and grown with the developing defensive corps sprouting on the blue line. Alex Edler is now the wise teacher with Dan Hamhuis’ departure, so guiding Ben Hutton, Erik Gudbranson, Chris Tanev, Nikita Tryamkin, Luca Sbisa and 2016 first round pick Olli Juolevi may be a challenge for the goaltending standing tall. It’s expected M&M (see how I did that?) will have to shoulder a fair amount of defensive blunders but thankfully without Matt Bartkowski, they’ll just be Sbizzas. When Schneider and Luongo were sent to far away lands there wasn’t much air left in the goaltending tires and just when we all thought Eddie Lack had repaired the problem, the Nucks sent him away too! We all saw this roulette wheel of goaltenders before Luongo came to town and we knew until it was ultimately solved the fixes were all temporary. The vehicle is almost fixed in Vancouver, we’re so close to having those high performance treads installed. Jacob Markstrom gives the Canucks time to let Demko mature at the pro level with more games than a college season delivers and the pro game will help him adjust and prepare for his eventual succession. Maybe it’s the Swedish connection that keeps us calm? The Sedins made us believe too; I guess there’s something to be said for the Tre Kronor? Jim Benning did a smart thing, yes Pet Bugs, a smart thing by signing Markstrom and if the tandem of Marky and Demks can be better than Lu and Schneids, we’re in for some good times once more. And that’s just the back end. Once a goalie graveyard, Vancouver is again becoming the place to be for the masked man. The tires are taken care of and I can’t wait for that new engine to be ready. The Canucks will be ready for Race Wars sooner than we think. But after his tenure with the Canucks, ok and a few close calls…not quite like his days with NYR, Clouts established himself for a time as one of the best goaltenders in the NHL. He’s hung up his everyday skates and has moved back in with the Vancouver Canucks. Rollie Melanson has relocated east to be with his ailing mother, and has vacated his spot so the Canucks checked in to the Cloutier Hotel. The present gets a fresh face and Thatcher Demko gets a Canucks alum as a mentor. Even though Rollie is out, he’s not gone completely. Melanson is still accessible but will be focusing more on helping goalies on the other side of the continent. As we all know, Dan Cloutier is no stranger to the Canucks and was a win away from the Conference Finals. He had injury problems but I still feel he was given an unfair shake as he was let go. Cloutier’s aggresive, sometimes unpredictable style combined with his flare for the dramatic (where have we seen that before) made him a fan favourite and helped steal his fair share of games back in the day for the Canucks. Now, he’s the mentor to a current aging goaltender in Ryan Miller who could use some pointers on staying fresh as his career winds down. In Jacob Markstrom, Cloutier will be able to take what works with Marky and I believe, get him to be more of the aggressor towards his shooter. Melanson got his goalies to play deeper and that gives the goalie the ability to play his posts tighter but doesn’t necessarily cut down the angle as much. I can’t see a dramatic culture change or anything but if he brings any of his game to his current students, at the very least, these guys will steal a few that they may have just lost last season. The bonus of having a reliable goaltender is that with a growing team like the Canucks, mistakes are going to be made more often than not and the last line of defense will have to be on point. In Cloutier’s prime, he was a gamer in every sense of the word; he didn’t like to lose and he knew when he had to be the star that night. Clouts also had Salo, Jovanovski, Ohlund and a few other notable d-men that he could rely on but having Hutton, Tanev, Tryamkin and I believe Dan Hamhuis, his work will show early on. Not lost in all this is what Thatcher Demko will get out of all of this. Melanson will most definitely be working with Demko on a periodical basis and what that spells is ALL STAR. Rollie took a very capable Roberto Luongo and Cory Schneider, tweaked some of their tendencies and turned them into Jennings trophy winners, All Stars and shut out beasts. Demko has already proven he can be all of those things and getting valuable lessons and ice time with the former Canucks tendy talker will reap all the benefits, like all of them. Back to Cloutier though; he knows the juggernaut that is the Vancouver hockey market and having lived through just as many bad times as the next Canucks tender, he knows what it will take to get past the hump. From travel to taking chances, Dan Cloutier is a fantastic pickup for Vancouver. Aside from a handful of goalies (Hedberg, Noronen, Auld, Flaherty) the Canucks have done pretty well in net. The “Goalie Graveyard” has buried many names but the talent managed to keep coming somehow. As this wave of new talent is ushered in between the pipes, Dan Cloutier has a chance to reinvent himself and become the textbook for the future in Vancouver’s nets. No more beach balls, no more lottery balls; basically no more balls. At the very least, the Canucks will have a 1.000 SA% vs. centre ice shots. We can be sure of that. By now it’s fairly obvious I am a philosophizer of words, a craftsman of verbiage and a knight of partial sentence structure. The Canucks have turned me into a 21st century literary magician and I only have them to thank. But enough about me; this latest Canucks season may have looked like a colossal tire fire on the outside but the guts of how they got there and the results that follow are a positive. There is no magic bullet, I mean there is and its $39.99, but a handful of things that occurred this season paired with the recent draft success of Trader Jim Benning will help put this team in a better position to succeed down the road. As the title states, a season lost is a season gained. Let’s look at the positives and more specifically Jimbo’s draft picks. He didn’t pick Nick Merkley and for that I may never forgive him but he did pick some kid named Brock Boeser and he just won the NCAA Championship with North Dakota. Add to that Boeser’s goal and three assists in the final and things are already looking up for a future Canucks star. Rewind a bit back to the Frozen Four and 2014 2nd round pick Thatcher Demko just lost out in the semis. He capped off a monster season with a 28-7-4 record, 10 shutouts, 1.88 GAA and a .935 SA%. The kid is good. After Demko’s first two games this year, he shut out his opponents six of the next seven games. If you thought Cory Schneider was awesome, it’s safe to say we might have a short memory. Fast forward to Benning’s current success stories and although he can’t claim responsibility for Ben Hutton or Bo Horvat (edited, thanks for the reminder @GoFour3,it was late), JB did bring on Jake Virtanen and Jared McCann. Benning hasn’t been the GM of the Canucks that long and all 3 of these guys currently occupy a regular roster spot. The obvious stand out is Horvat. In just his second season, he has more than developed into a key member of the Canucks and had Brandon Sutter not been injured as much as former Canuck Sami Salo, Bo may have had a better statistical season. That being said, Bo was dealt a less than favourable situation and was forced to do more than he should have. He was voted most exciting player this year and if you check out a recent piece I wrote about Bo, he has the skills to pay the bills. OK, a lot of the good things end here. The Canucks finished 28th overall in the standings which sounds great if you know, you’re in nationals for I dunno, high jump? This is the NHL and with only 30 teams, it isn’t a good place to be. There may or may not be a glimmering prize at the end of this season but was watching this season implode before our eyes really worth it? How can Jim Benning and company honestly say they progressed this year? Last year? The frivolous signings and downright odd ball trades make you wonder if Benning or moreso John Weisbrod got their GM certificate from collecting 6 UPC’s from Froot Loops. What do other GM’s around the league think? They can’t possibly view the Canucks as the model franchise anymore, or did they ever? Zack Kassian for Brandon Prust —— This actually happened and one wonders why. Even Cody Hodgson was caught off guard. Matt Bartkowski – 1 yr/1.75M ——REALLY??? Was there no one better, did you really think Frankie Corrado was that bad? Derek Dorsett – 4 yr/10.6M ———– A fighter and 4th line fill in basically. Hardly the guy you want mentoring the actual talent on the team. He’s here until my 2yr old is done kindergarten. Think about that, I sure will be. Luca Sbisa – 3 yr/10.8M ———- Benning didn’t have to sign him. The Kesler trade could have played out and that would have been the end of it. You don’t commit to something like that unless that player has shown you he’s worth hanging around. I use that term loosely. Trading Hunter Shinkaruk for Markus Granlund – what in your right mind would make you think that’s a good deal? Shinkaruk didn’t even get an instant cup of coffee in the NHL before management decided he wasn’t a Canuck. If we are being told patience, the least they could have done was shown a bit of it themselves. This one is seriously going to bite them back. 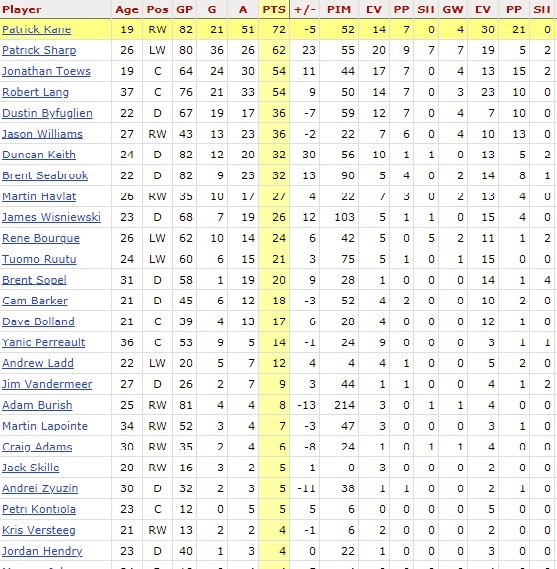 Putting Frankie Corrado on waivers when Chris Higgins could have gone on LTIR at the beginning of the year and they could have salvaged a valuable asset for more than….nothing. This pattern is becoming quite disturbing. However, all these moves have helped structure what needs to be done and that is the rebuild we all talk about. After the 2012 season, it was perfectly clear that the Canucks were no longer on top of the mountain and the mountain was quickly fading in the distance. This season ended up being so bad that it highlighted the exact places where depth players and youth should be stationed. It’s clear that Ben Hutton and Chris Tanev are the future on the back end but if those are the only two, we have problems. When Luca Sbisa and Alex Edler were injured it was apparent what their presence and big time minutes meant to the team. Combine that with Matt Bartkowski, his fluky defense leading 6 goals and the errors, oh the errors; its a recipe for disaster. Thankfully late in the season towering d-man Nikita Tryamkin came and gave us all a breath of fresh air. He is the player the team could have used in 2011 but better late than never. Tryamkin will definitely be a fixture on the Canucks defense for years and if he’s anything close to Zdeno Chara, we should be so lucky. Unfortunately, that’s how bad it’s gotten. We were looking forward to the guys on the farm to save the team. Shouldn’t that be the job of the mainstays, the vets? This was the first year in a long time where the goaltending really didn’t matter because they were the only guys showing up every night. Even with Ryan Miller’s hefty contract and what began as Jacob Markstroms clean resume, they managed to be the one consistent thing going. Next season goaltending will not be addressed because for now, it works. If Thatcher Demko ends up signing on, it’s only a matter of time before his throne is made available. Starting Jake Virtanen and Jared McCann on the big club this year was the way to go and even though they were met with many struggles and adversity, they can start next year in Utica and play at a level that they can build their skill base. These are two very talented young men and their development at the pro level is now the next task. Having this year’s crop of rookies growing up on the farm for at least a year will free up spots once again for some free agents and maybe a proper trade or two. Is Alex Burrows still in the Canucks plans? The fan in me says I hope so but he was so bad this year and its surprising he wasn’t asked to leave before some of the other rumoured guys like Vrbata and Hamhuis. There is some big money coming off the books and fans have been told the team will spend on July 1. Steven Stamkos is quite unlikely but adding real depth around the Sedins, Horvat, Sutter and on the back end will make this team better. Back to Burrows though, he has been everything to the Canucks and at the very least he deserves a shot. I’d give him a chance to start the year and if they aren’t seeing what they want, trade him. He has a decent cap hit at 4.5M next season so if there is anything to offer elsewhere, he should be easy to move. Finally, the Canucks are saying Willie Desjardins is their guy next year. Desjardins really didn’t look great this year and with so many injuries and having to ice a team that maybe he wouldn’t have picked if he had the ultimate say makes his coaching look suspect. To be fair, he did much of the same things he did in his first season. He just had a really poor roster this year. It might be a lot of the same next year or it might involve Auston Matthews and a new coach but the struggle this year was a place to grow and they did, we did too. 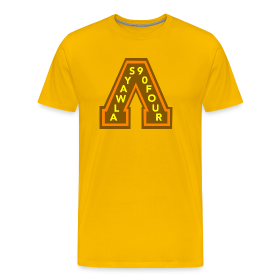 We all found out what we were willing to tolerate this season; some of us 82 games, others sporadic periods. We have been so spoiled for so long, it felt good to be ok with losing. This team will bounce back and its when you see the absolute bottom that you can truly appreciate the top. So long 2016, we hated you. When Canucks goalie of the future Thatcher Demko isn’t stopping every puck he faces, he’s at home getting ready for Christmas like the rest of us. Thing is, ol’ Thatch is a college man and if I remember correctly, he isn’t working with a very big budget for decorations. Mom and Dad could have ponied up a few bucks to get him in the festive mood but like his goaltending, Demko pulled out all the stops. Over on the twitter Thatcher Demko showed us all that a tree and lights are all you need for your Christmas set up; everything else you need can be found in your home. To be perfectly honest, I really like how simple this tree looks. He’s not trying to out do anyone and it gets the point across. Speaking of getting the point across, if Thatcher decides to go pro next year, he’s putting up stats that are most welcome in Vancouver. He has 6 shutouts already this year, a 1.62 GAA and a 13-2-1 record. Those are numbers I can get behind, actually no, that’s not possible; he would have kept me out. What he can’t keep out though is his dancing excerpts from the Internets. I scoured the web and found this gem of Thatcher jammin to T-Swifts “Shake it off” in the crease, enjoy and Merry Christmas! Thanks to tendysmakemehappy on tumblr for this.